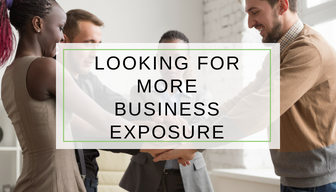 Do you need more exposure for your business? Try advertising on our association website. Promote your business on the home page in a variety of different ways. Whether you want to just get your name out there, advertise specials or promote new products our website is the place to find a local targeted audience that is looking for home industry related services. Capture the attention of fellow members and homeowners with an ad in any number of available spots throughout the website. With prices to fit all budgets you are sure to find a spot that will fit your needs. Now for a limited time, we are offering % off regular prices listed below. The Crown ads adorn the top right of every page and rotate with any other crown ads on the website. Crown ads do not have to be a specific size but must not exceed 365 pixels wide by 160 pixels tall. Crown ads do not have to simply be a logo, but maybe a larger banner ad or a "Brought to you by [product name]" style endorsement. The ad is placed on the website for 1 year and can be changed up to 4 times in that year. The carousel is a rotating list of links to site features, news stories, or upcoming events. Carousel ads highlight your new products, member profile, press releases or anything else you would like to draw attention to. Carousel ads must be 1920 pixels wide by 550 pixels wide. Carousel ads are great for getting your product out right on the home page of a website. These ads are placed on the home page in a group of 3 ads and rotate approximately every 8 seconds. Members can choose to display a company logo, specials, or anything that can fit into a 200x200 space. The Ad can be linked to the member's website site, profile page, or Facebook page. The ad is placed on the website for 1 year and can be changed up to 4 times in that year. these ads are placed on all secondary pages in a group of 3 ads and rotate approximately every 8 seconds. Members can choose to display a company logo, specials, or anything that can fit into a 200x200 space. The Ad can be linked to the member's website site, profile page, or Facebook page. The ad is placed on the website for 1 year and can be changed up to 4 times in that year.